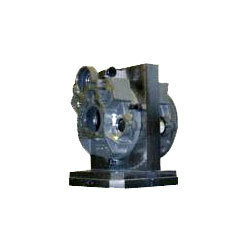 Fixtures are the support devices that are widely used in manufacturing industry. We are one of the well known manufacturers of Fixtures, which are categorized into various models like Turning and Machining Fixtures, Custom Work holding Fixtures, Tombstone Fixtures, Indexing Fixtures and Fixtures for CNC Machines. These fixtures are known for their easy operations, durability and optimum quality. Apart from these, these are also appreciated for low production cost. We offer CNC Machining Fixtures and gauges which is used in most of the challenging areas like machine shops and CNC shops. High quality of raw material is used in the production of our fixtures and gauges which is procured from reliable vendors. The raw material comprises of stainless steel. It is manufactured in accordance of requisite norms and standards and can be easily customized as per client requirement. 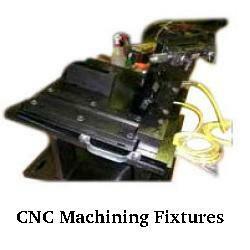 We offer Indexing Fixtures which is extensively used in machine shops and CNC shops. High grade quality of raw material is used in the production of fixtures.The raw material comprises of steel which is procured from genuine vendors. It can be easily customized according to client requirement and can be delivered within stipulated time frame. We specialize in design and manufacturing of Indexing Fixtures for turning and VMC operations. 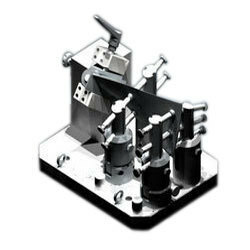 Our indexing turning fixtures are rigid, balanced and withstand higher cutting parameters with ease of component loading. We are engaged in manufacturing Custom Workholding Fixtures which is known for effective functioning among our valued clients. These fixtures rigidly position themselves and hold the components for the accurate and repeatable machining. We provide the simple manually loaded jigs or the fixtures as well as the complex auto-loaded, pneumatic or hydraulic clamped fixtures and everything in between. The custom features include state of the art design, proven technology and robust components to provide the best part specific fixturing possible. Hydraulically clamper fixtures include hydraulic sequencing of clamping operations through integral hydraulic valves and regulators. We also provide the remote electronic and the pressure feedback and sensing is also available. For the improvement of the chip shedding, gun drilled internal; hydraulic and sloped guarding is offered. Third party CMM certification of datum position of the fixture is also available. We manufacture Tombstone Fixture for HMC which is known for its effectual working among our valued clients. It is manufactured in accordance of requisite norms and standards and can be Customized according to client requirement. We are engaged in manufacturing Turning And Machining Fixtures which is manufacture from high quality of raw material. The raw material comprises of steel. These fixtures are effectively used in machine shops and CNC shops. It can be easily Customized according to client requirement and can be delivered within given time frame. Looking for Industrial Fixtures ?